Jarrod Campbell, DDS is excited to offer beautiful smiles to his friends and neighbors in Cedar Park, Round Rock, Leander and Northwest Austin. 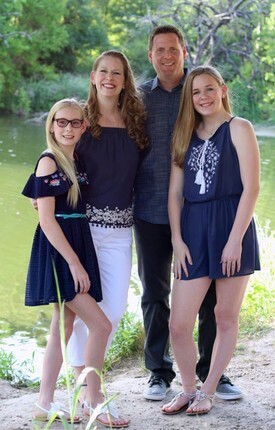 After owning his dental practice in Downtown Austin for 12 years, he decided it was time to make the move closer to home. 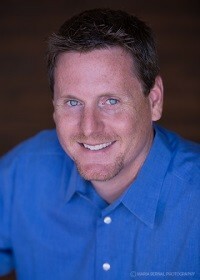 He opened ‘Campbell Dental’ in the community where he and his family have lived for the past 18 years, Cedar Park, TX. Dr. Campbell earned his bachelor’s degree from Southwest Texas State University. He is especially proud to have earned his dental degree from the University of Texas Health Science Center in San Antonio in 1999. While he was attending, it was ranked the #1 dental school in the nation. Dr. Campbell is honored to be a member of the American Dental Association, the Academy of General Dentistry, the Texas Dental Association, the Texas Academy of General Dentistry, the Capital Area Dental Society, and the Central Texas Academy of General Dentistry. He is also an online member of Spear Education at the Scottsdale Center for Dentistry, where Dr. Campbell has taken numerous postgraduate education courses, specifically selecting courses focusing on cosmetic and implant dentistry, and most recently with courses in comprehensive care, allowing him to incorporate this information into his practice and give you the smile of your dreams and rehabilitate the most complex cases. Dr. Campbell’s commitment to lifelong education ensures you the highest level of care, both today and tomorrow. Dr. Campbell and his wife, Blythe, have two beautiful daughters that enjoy dance, cheer, and gymnastics. In his spare time, Dr. Campbell enjoys being out in the garage tinkering various projects and spending time with friends and family.